Resume Writer or Career Coach, Which Do You Need? Considering all the reports of a flourishing economy, many people are seeing an opportunity for a career change. Finding your dream job may still have its challenges. Do you need a resume writer or a career coach? Some people believe that what they really need is a good recruiter. Yes, these folks are out there and many of them are doing a great job. However, not every hiring manager or organization is utilizing these resources. Setting aside the recruiter aspect, what do you need? What will help you land a better job? Your resume is important. It should be finely polished. It should be grammatically correct, use appropriate keywords, and unveil a good representation of your background, experience, and education. Writing a resume can be a struggle. People often wonder how to best illustrate their experiences, show credibility, and appropriate professionalism. It’s true that your resume is important. Its quality should be exceptional. Is your resume why you’re not getting the job? 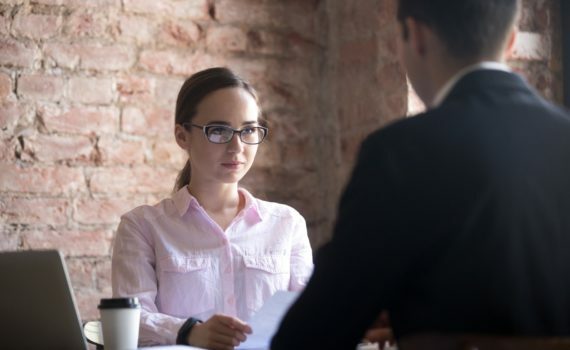 Could it be your interview skills? Is it that short lapse in employment or lack of education? Nearly everything is digital today. This makes it extremely easy for hundreds of people to apply for nearly any job. A little tailoring to a cover letter (if it is requested) and your resume, press a button or two, and you’re done. Certainly, it is not just that is easy. Often you are required to register with the hiring entity. You must enter some background information and jump through a few small hoops, but it is much easier than the old school paper and typewriter method. As a result, larger firms are feeding your highly polished professional document through their software system that is scanning for keywords, filtering, and suggesting (only) some of the best matches. Are you still wondering why you aren’t getting calls? Or are you getting an interview here or there but not being offered the job? Some will still blame the resume, and it could be a factor. Perhaps there is something more. Enter the career coach. A career coach is not a resume writer or a recruiter. They are someone who can help you set direction, consider where and how to search, and perhaps help you prepare for the interview process. There are two significant roadblocks I often see. The first is that job change seekers are often focused on their weakness. Therefore, they assess that everything that happens next, (or doesn’t happen) is based upon that weakness. A form of confirmation bias. A second factor that inhibits most successful searches is the lack of a good plan. Having a plan to send out some resumes is not a plan. That is a tactic. A good coach can help you fine tune your goals, develop an appropriate plan, and identify tactics that will lead you to success. Your next job will require a good resume. It may also require a well-established and well executed plan. I do work in this area. Yes, it is connected with other core services. Would you like to get on the list of potential candidates to be coached? With all of your experience, it seems only a natural extension of your services.